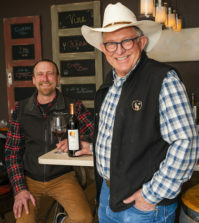 WALLA WALLA, Wash. — Ask anyone in the Walla Walla Valley wine industry to name its brightest lights and you’ll hear familiar names: Gary Figgins, Rick Small, Christophe Baron, Marty Clubb, Myles Anderson, Stan Clarke, Norm McKibben. Based on her unheralded yet growing list of accomplishments, Elizabeth Bourcier is on a path to join that pantheon of contributors. 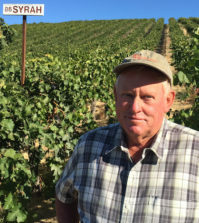 This year marks the 15th anniversary of Walla Walla Community College’s enology and viticulture program, and Bourcier was in the first graduation class. She has made quiet, steady waves in the industry ever since and recently launched her own brand — La Rata Wines. Born and raised in Kirkland, Wash., she grew up in a home where French and Italian wines were served and talked about at dinner. “I remember very clearly the dinner where my Dad said to me, ‘You know, people study this!’ I was in high school and the light bulb went on. I realized that I could learn to make wine,” she recalls. Her father heard that WWCC was going to be starting a winemaking program and contacted Anderson. One snowy day in 2001, father and daughter drove over Snoqualmie Pass to Walla Walla Vintners, where they met Anderson for some barrel tasting. Anderson encouraged Bourcier to enroll in the first class of the new enology and viticulture program. When school started at College Cellars, there was Clarke, the instructor who changed her life forever. “He was the most influential person in my career,” Bourcier says. “You’ll never meet anyone like Stan. He was very involved in the students’ lives. We played racquetball together, and he sent me out to different wineries to help bottle or help with pruning. He helped me with my chemistry homework in the morning before class. 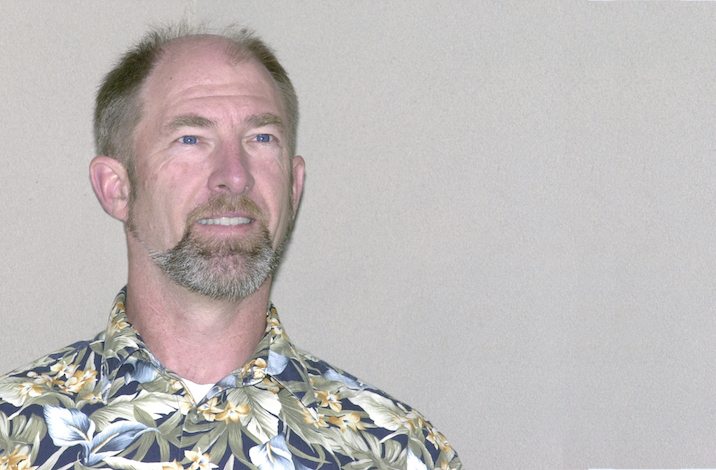 After graduation from WWCC, Bourcier went on to get a bachelor’s degree from California Polytechnic State University in San Luis Obispo. Although she had planned for a degree in enology, she soon discovered the strength of Cal Poly’s agriculture programs. She switched to a degree path in viticulture. There was a stint at the tasting room of California’s iconoclastic Bonny Doon Vineyard, where Randall Grahm’s team was importing wines from all over the world, where she was able to taste wines and varietals that were new to her. There she also saw Biodynamics in use for the first time. 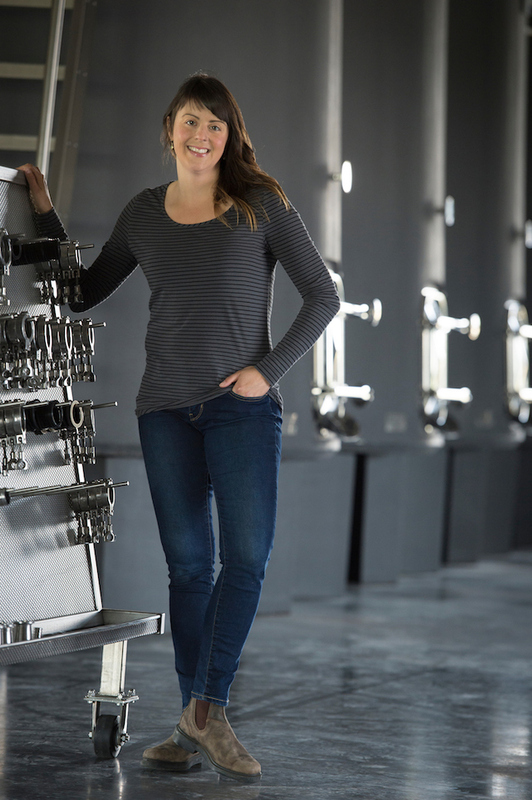 Following a harvest working at Finca Koch in the Mendoza region of Argentina, she found her way back to Walla Walla in 2007, with the encouragement of Clarke. Sadly, Clarke passed away that year. After spending time working in the cellar at Walla Walla’s Bergevin Lane Winery, Bourcier made another life-changing move, this time to Cayuse Vineyards. Working for the past 10 years with the legendary Baron, she has come into her own. Starting at Cayuse as an enologist, she has worked her way to her present title of assistant vigneronne. Vigneron, or the feminine form vigneronne, is the French term, and the preferred distinction at Cayuse, for those who cultivate the vines and create wine from their own grapes. Now, she creates wine using the principles of Biodynamics, where no pesticides, herbicides, commercial yeasts or wine additives are used, and vineyard and cellar activities are conducted according to phases of the moon. 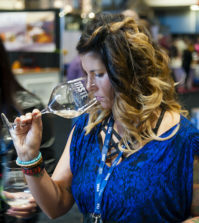 She also serves on the advisory board for the WWCC enology and viticulture program, where she’s been a strong advocate for the training of Hispanic workers. 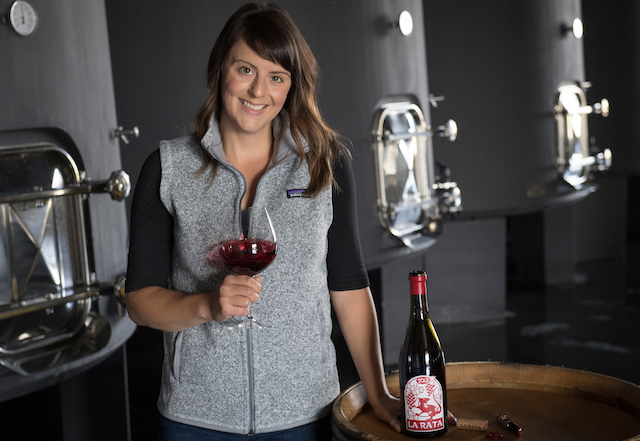 Although starting her own winery has never really been her goal, she does have her own single-wine micro-label, La Rata. 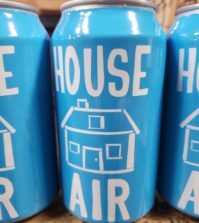 An untraditional blend of Grenache and Cabernet Sauvignon, she makes the wine in small quantities at Cayuse and sells it exclusively through Seattle wine merchant/author Paul Zitarelli’s Full Pull Wines. Her wines earn acclaim from critics such as Jeb Dunnuck, Harvey Steiman, Sean Sullivan and Steve Tanzer. Elizabeth — So nice to read about your accomplishments! Congratulations on a job well done!